Since the election of President Duterte in the Philippines in May 2016, there has been a state sanctioned crackdown on the drug trade. Police has been accused of actively ordering extrajudicial killings, or ‘rub-outs’. What are the legal avenues available for a leader who enjoys high approval ratings but has called for hundreds of extra-judicial killings? 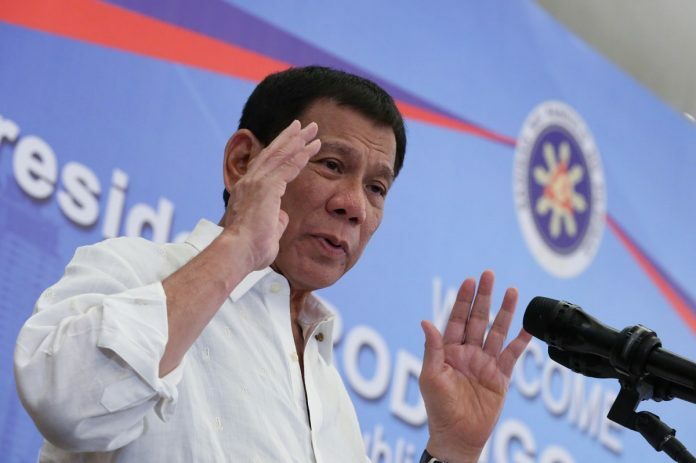 In April last year, a 77-page complaint was filed at the International Criminal Court at the Hague that accused Philippine’s President Rodrigo Duterte and his officials of “repeatedly, unchangingly and continuously” ordering extra-judicial executions in the war on drugs. The prosecutor of the ICC announced on 8 February that she would be commencing a ‘preliminary examination’ of the situation in the Philippines. This has been anticipated for some time and confirms the seriousness of recent events in the country. Since the election of President Duterte in the Philippines in May 2016, there has been a state-sanctioned crackdown on the drug trade. In this ‘war on drugs’, there has been a targeted campaign to eliminate those involved in the drug trade. This has resulted in the killing of thousands – estimated by some to be as high as 12,000 individuals – including children and teenagers. Of particular concern is the allegation that police personnel have been actively involved in extrajudicial killings, termed ‘rub-outs’ in local parlance. What is the basis of this legal development, and what does it mean for the Philippines? In 2011, the Philippines ratified the Rome Statute, the treaty that resulted in the establishment of the International Criminal Court. The category of crimes that the ICC can examine include genocide, crimes against humanity, war crimes and recently, the crime of aggression. By becoming a state party to this treaty, the prosecutor may examine any situation arising after the Philippines became a state party. However, prosecution can only be commenced by the ICC if the domestic legal system is unable or unwilling to address the alleged crimes. This principle of ‘complementarity’ is therefore core to the actions of the court. At this stage, the ‘preliminary examination’ commenced by the prosecutor of the ICC is the very first step in assessing the allegations and determining whether this is indeed a case that can be taken up at the ICC. It is not a full-fledged investigation; rather, a precursor to an investigation. The basis of this examination includes submissions by lawmakers from the Philippines to the ICC prosecutor. The crimes alleged fall under the category of crimes against humanity, part of a widespread or systematic attack against the civilian population, which includes murder. At the end of the preliminary examination, the ICC prosecutor will decide whether to proceed with the investigation or not. If it proceeds, the case will then enter the next stage. If the prosecutor determines there is a case to answer, the ICC will only then issue indictments (similar to a chargesheet) on the basis of which individuals will be called to answer their case in the international court. It is worth pointing out that the ICC is a court for individuals – not states – and any possible indictments would be against high ranking officials of the country who may have had a role in the policy and implementation of the ‘war on drugs’. The crimes are alleged to have been committed since 1 July 2016, and a key component are the allegations of extrajudicial executions. The allegations of the role and complicity of the police, and that of the justice system in providing redress will be scrutinised. The aims of a preliminary examination include the ending of impunity by encouraging genuine domestic proceedings and the prevention of further crimes. There is no fixed timeframe for the completion of the preliminary examination. As such, there is still time for the Philippines to take concerted steps to address impunity, in galvanising its legal system to respond appropriately and provide justice, and to halt the killings. If the prosecutor of the ICC takes the case beyond the preliminary examination stage, a considerable cause for concern is that of evidence collection and safeguarding witnesses. In Kenya, this has proved to be an insurmountable obstacle, with the court terminating cases due to witness intimidation and obstruction by the government. However, the wider ramification of this development is the signalling of greater scrutiny of internal actions of state, by an international judicial accountability mechanism. In the Indian context, a parallel may be drawn in the multiple ‘encounter’ killings, and the inability of the legal system to provide justice in many instances. While India has not signed the Rome Statute and is not under the direct scrutiny of the ICC (hypothetically, however, a referral by the UN Security Council is always possible), the principles that underlie the Rome Statute are important. Actions that are antithetical to human rights must be scrutinised and addressed, and the recent developments in the ICC are a significant part of the international fight against impunity. Priya Pillai is a lawyer specialising in international law, based in Manila. She tweets at @PillaiPriy.